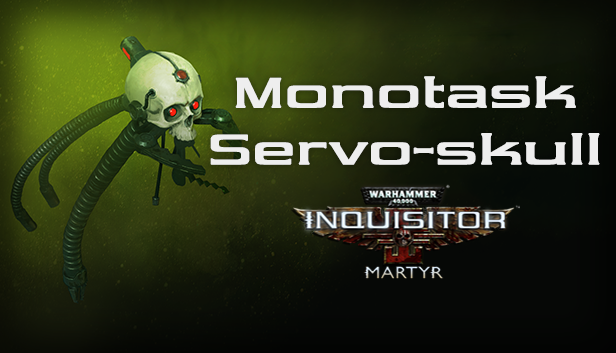 There's a new "pet" character available for the console versions of Warhammer 40,000 Inquisitor - Martyr: the Monotask Servo-skull. Get it now for both the PlayStation 4 and Xbox One versions of the game, and as usual, it's free for Season Pass owners. Note: it will appear later for the Asian versions (including Japanese) of the game. it is much better if they unify the updates across all platforms " less unintentional bugs due to different seasons 'n etc "
no time will be wasted for PC players while they wait a month or so .. dev' will surely fix more bugs 'n improve the PC performance :). And is there any coming soon patch for season 2 On PS4/Xbox One ? I second this motion. Either extend the time between updates for the PC or shorten the gap for consoles (or both) so that all platforms are on the same schedule as was the original plan. The Khorne update will come to console in the second half of February! Naturally every DLC which has been released on PC will make its appearance on console as well!